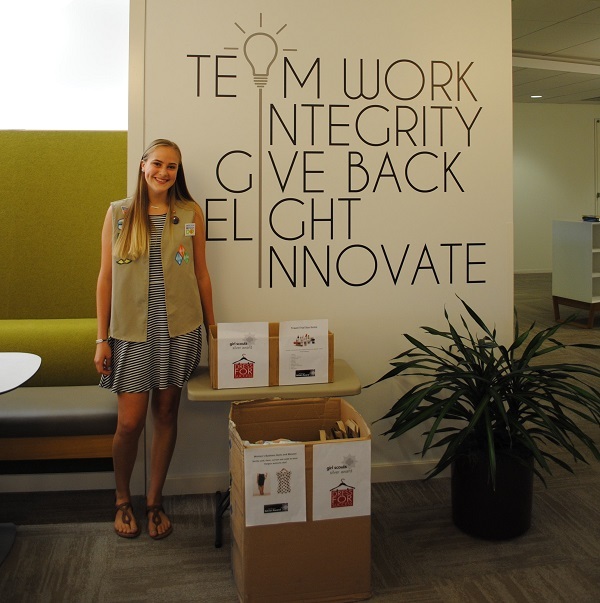 A local Girl Scout, Devin Roskos from Troop 2103 was going for her Girl Scout Silver Award. 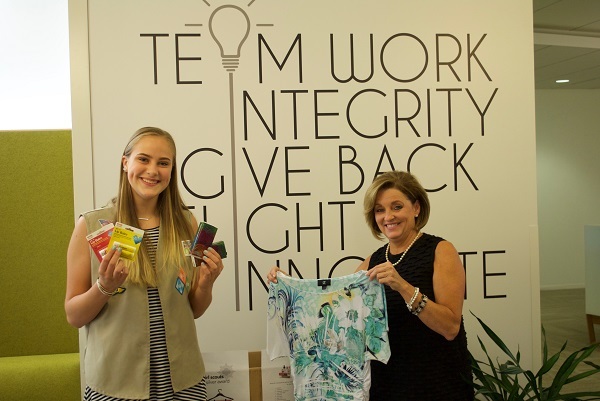 She was required to complete 50 hours of community service this summer, so she chose to deliver donated clothing and personal hygiene items to the Dressed for Success Clothing Closet this September. When she delivers the items collected, she will also be creating and decorating a motivational bulletin board for the women benefiting from the program. SofterWare employees donated many of the personal hygiene items requested such as shampoo, deodorant, toothbrushes, toothpaste, combs, headbands, among many others. We also collected and donated over 50 clothing items that will be included in Devin’s culminating activity, which is delivering everything to the Philadelphia based organization this month. Devin and Becky showing off some of the goods collected for Dress for Success. My personal thanks to all of those who donated. Together, we make a real difference!